Experience Stunning New York in 48 hours, encompassing all that the city has to offer! 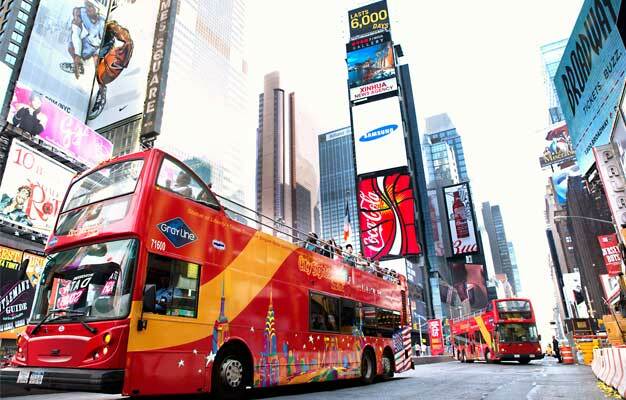 See the best sights in Manhattan with hop-on, hop-off, service at over 50 stops with connecting transfer points to switch from one tour loop to another. You can mix and match as you like, boarding anywhere to make the Loop your very own! 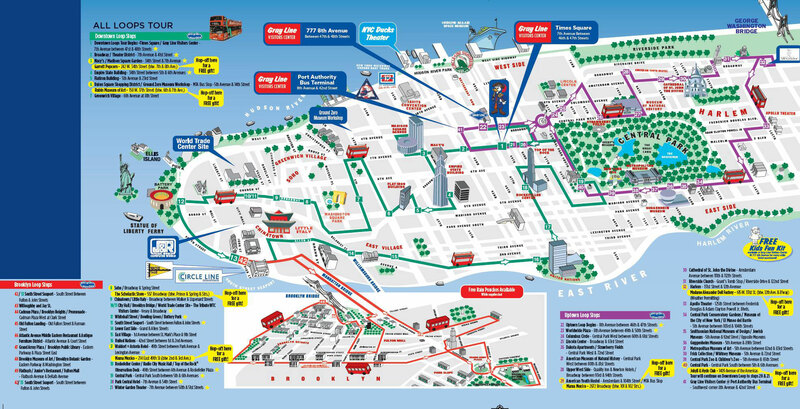 See map of All Loops Tour HERE ! 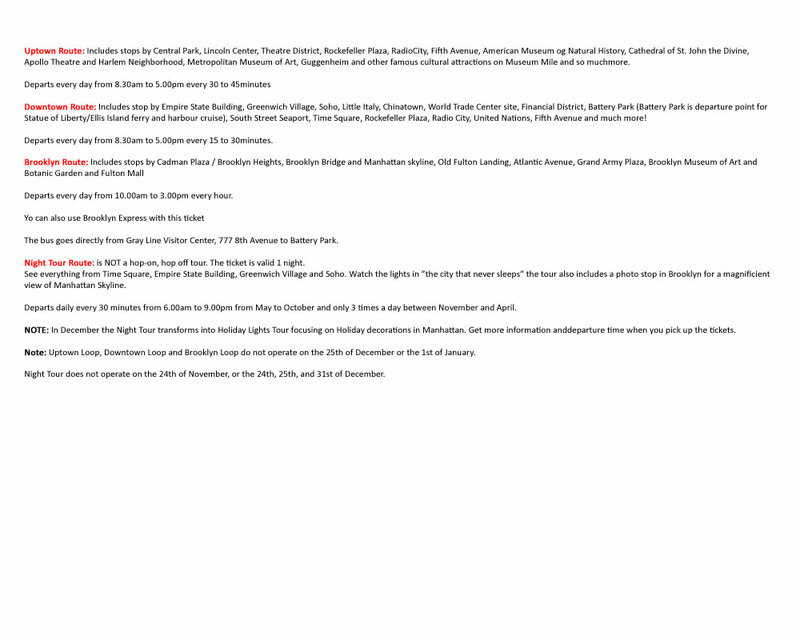 See complete list of all stops HERE ! Get on board from Battery Park and visit Liberty Island where you get close to the Statue of Liberty and continue on to Ellis Island . As you already purchased your ticket, you skip the line at ticket booth, but there can be a wait to board the ferry. Yes, children's tickets are available for children between age 3 to 11. Children under age 3 are free when accompanied by a paying adult. Do my tickets include the top of the Statue of Liberty? No, your tickets do not include entrance to go up to the top of the Statue of Liberty.